The CRIC Study has already served as the foundation for dozens of funded ancillary studies and will continue to provide unique opportunities for scientific investigation to scientists well beyond the ancillary study investigators currently located at institutions across the nation. 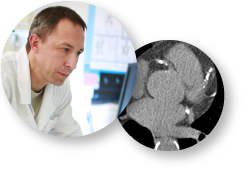 The CRIC-RN is also engaged in multiple highly fruitful collaborations with other key NIDDK programs such as the CKD Biomarker Consortium, the CKiD Study, the AASK Study, NKDEP's Urinary Protein Standardization Initiative, among others. The CRIC Study has also delivered in excess of 150,000 bio-samples and a rich dataset characterizing all 5499 CRIC participants at the time of study entry to the NIDDK National Repository providing a potent resource to the US research community for many years to come. The CRIC Study also delivered a dataset to NCBI's Database for Genotypes and Phenotypes (dbGaP) The value of these resources will grow exponentially as more follow up time is accrued and more renal, cardiovascular and other clinical outcomes are observed. FGF23 elevation has been linked to greater risks of left ventricular hypertrophy (LVH) and mortality in patients with chronic kidney disease (CKD), but whether these risks represent causal effects of FGF23 is unknown. Here, we report that elevated FGF23 levels are independently associated with prevalent and incident LVH among CRIC Study participants. The CRIC Scientific and Data Coordinating Center at Penn receives data and provides ongoing support for a number of Ancillary Studies approved by the CRIC Cohort utilizing both data collected about CRIC study participants as well as their biological samples.